8-bit mode. Data or instruction bytes are transferred via pin DB7-DB0. 4-bit mode. Data or instruction bytes are separated into two parts. Higher 4 bits will be transferred through DB7-DB4, followed by the lower 4 bits. The DB3-DB0 pins will not be used and should be connected to ground. Unfortunately, the board that I purchased has the PSB pin permanently connected to VCC. Hence, only parallel communication is possible. To cut down on the number of output pins required, I have selected 4-bit mode, instead of 8-bit. 128×64 resolution in graphics mode. 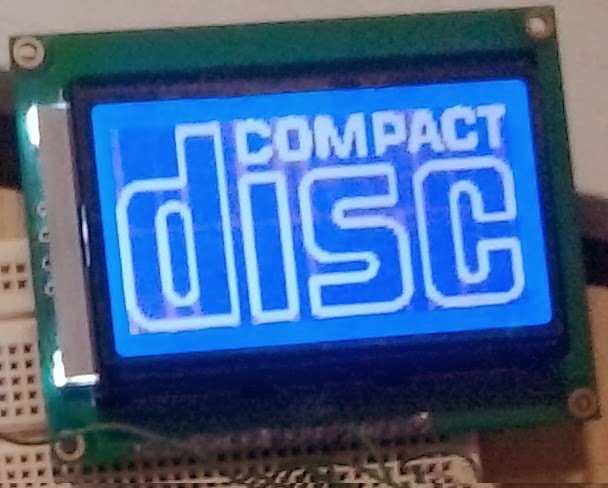 The full C30 source code for this LCD can be downloaded here. If you are interested, the syntax highlighting of the source code in this article is done using this tool. with what software did u use to code this? You can use any PIC C compiler. I am using Microchip MPLAB with its C30 compiler. Hi Friend, what applicattion do you use to make the fonts? Thank you! Of course, if you read the article at all it says I am using a PIC24FJ64GA002. The code of course can be ported to any other micro controller with no issues. i am using 16F877A pic so how should i initialised pins in there..please give me example code for that.. The PIC16F877A does not have the latch registers (e.g. LATB, LATA, etc) which is for newer PICs such as the PIC24. Just replace the LAT registers with the PORT registers. If you're using Hi-Tech C compiler, replace LATAbits.LATA3 and other similar declarations with, for example, RA3 and it should compile. do we need to enable graphics mode to display character string on this or any GLCD..? Please tell me how to display a variable on your cord.,. Thanks for the code. Some years back I've written this for a PIC32 microcontroller in a website (you have seen this already – Cytron tutorial) – glad that you added new features to it! You can download the custom 5×7 font (font.zip) and the LCD sample code (12864_lcd.zip) from my article. 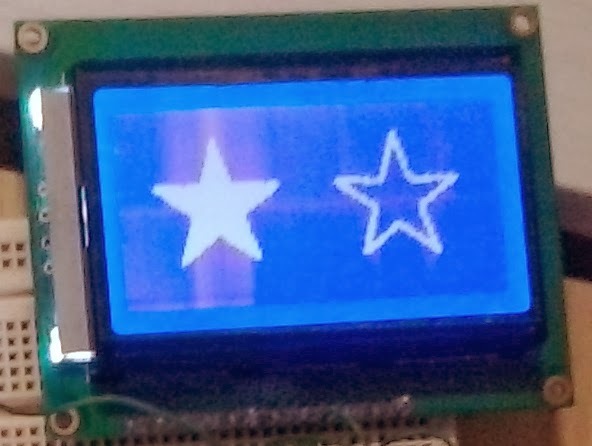 After that you can use the LCD_GraphicsDisplayString(unsigned char line, char* str) function to display the text on string as graphics using the 5×7 font. This way you can show up to 128 characters on the screen, and not just 64 big characters. I am trying to use the custom 5×7 font you provided. When I use the LCD_GraphicsDisplayString(unsigned char line, char* str) function it displays the 5×7 font but uses a larger space to do it, resulting in the same number of characters (16) as the larger font in each row. What is wrong? 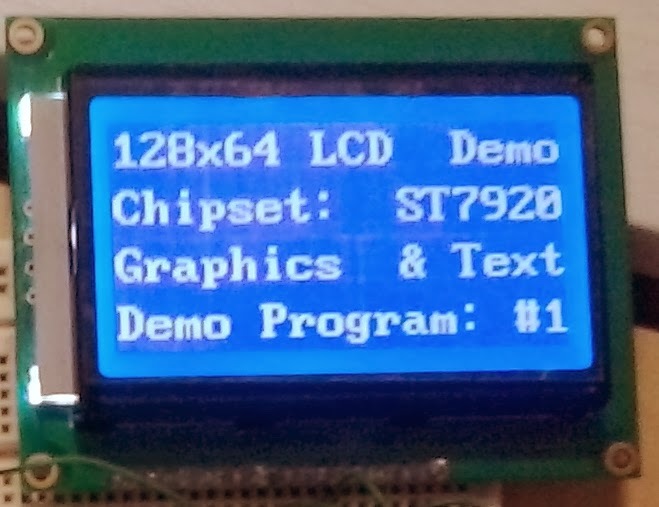 The LCD_GraphicsDisplayString in the code I provided will display 16 characters per row and 8 rows on the screen, so it can display a total of 16×8=128 characters. Although the number of characters per row is the same (16), the height of each row is shorter compared with the default font so it can display twice as many characters. The default text mode can only display 4 rows of 16 characters each, totaling to 64 characters. This is because each character is displayed in a 8×8 box. I have tried to use a smaller box in order to display more characters, but the results don't look nice due to the lack of spacing between characters. So for now, 16 characters on 8 rows should be sufficient for most use cases. As you can see on the screenshot, the LCD can display much more text using the custom 5×7 font. Thanks. I mod it to use with CCS and it work fine. Could you send me your code in CCS? Please, I need it urgent for my thesis project. In my country I one can find displays with this driver. Thanks for spotting that. 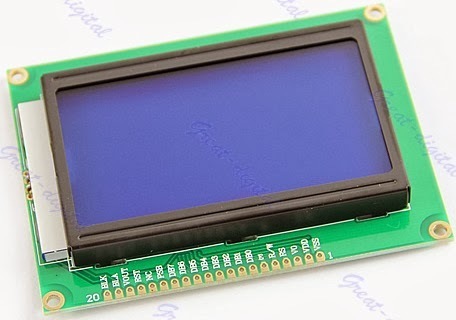 You are right that function LCD_GraphicsDisplayChar is present in the header but not in the .c file. I probably forgot about it when I write the code. However you can still adapt from function LCD_GraphicsDisplayString (present in the .c file) to output a character at a specific position. Just some minor modifications. Let me know if you have any issues. I’m trying to display characters on the 12864zw (st7920) using a pic 16f877a and xc8 in 8 bit mode. 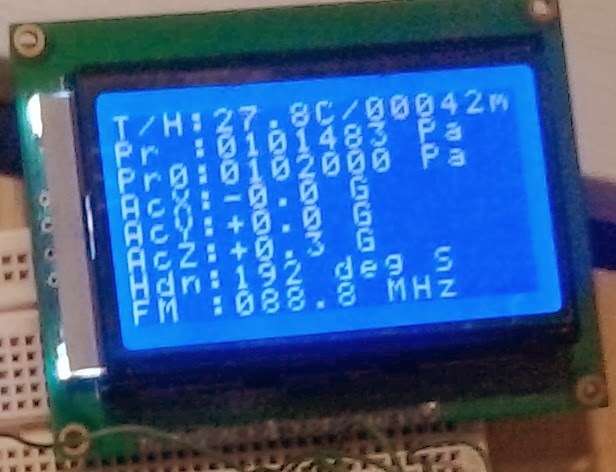 could you please post the code for the LCD_WriteCommand and LCD_WriteData please. The C code for these 2 functions (and other functions) are already provided in the download link at the end of this article. can send me example for CCS for use 128×64 with big font? many compliments for your code to write 4 lines with large characters on 128×64. I tried using your code but I found it difficult. Can you kindly send me the code to try it with the CCS compiler?